Reitmeier named ACHR News' Best Contractor to Work For! Reitmeier named ACHR News’ 2014 Best Contractor to Work For! The annual “Best Contractor to Work For” contest recognizes four contractors in four different regions of the U.S. for their efforts in making their workplaces not only areas where customer service is great, but places for employees to thrive and grow — places where a job is more than a job, it’s a career. This prestigious award is given annually to just four contractors chosen from the U.S. and Canada, who have excelled at creating places of employment that exhibit an outstanding commitment to customers and staff. We are proud to represent 2014’s Western Region. At Reitmeier, we believe that our success stems from our people – so we couldn’t be happier to have received this tremendous honor. This recognition can be directly attributed to Reitmeier’s core values – Build Sustainable Relationships, Create the Right Solution, Lead the Way, and Own It – which contribute to our mission of balance. By making these core tenets a living, breathing part of our internal culture, we’ve been able to build a team of right-fit people who make up who we are today. 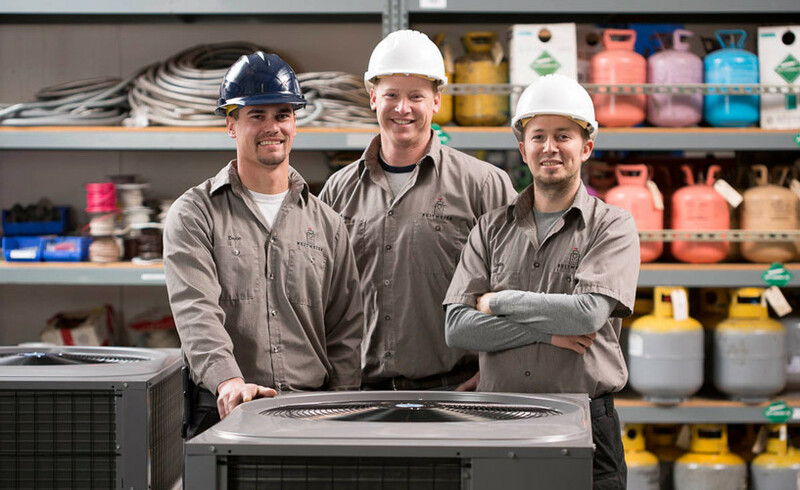 Which might be why Dallin Gibb, one of our senior HVAC service technicians, said his favorite thing about Reitmeier is the small-company mentality. Click here to read the full article on ACHR News. Interested in joining our happy team? Check out our Career Center for open positions.